Drinks giant Diageo has submitted plans for a new seven-storey whisky visitor centre in the heart of Edinburgh. 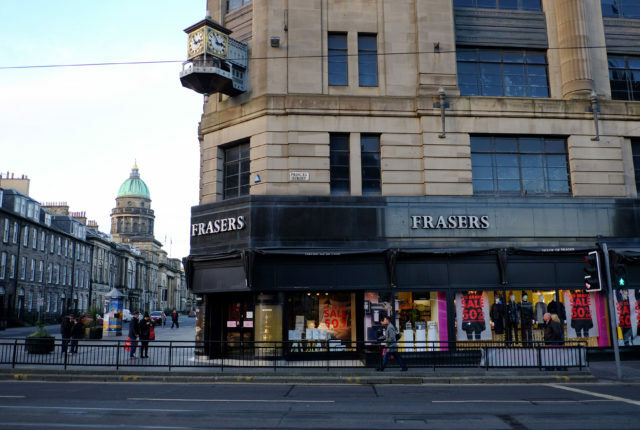 The company plans to create a new Johnnie Walker “visitor experience” in the former Frasers department store at the west end of Princes Street as part of its £150 million investment in whisky tourism. It would include a new store setup in the building, rooftop bars, an events space and a bar academy, which would provide training and employment opportunities for people out of work, as well as working to improve standards in the hospitality sector. Diageo, together with the building owners Parabola, has submitted a formal planning application to Edinburgh City Council that pledges to preserve and restore the property’s historical features. Cristina Diezhandino, Diageo’s global Scotch whisky director, said it was setting out to “create a flagship attraction that will bring people to Scotland from the four corners of the world”.